The degree to which Italian finance has become a collapsed-in-on-itself structure is difficult to fully comprehend. Giant, codependent, insolvent entities lean up against each other, each supported by the dead weight of the other, while the toxic asset trash heap known as the ECB frantically tries to shore them up. The dreaded “Doom Loop” — when shaky banks hold too much shaky government debt, raising the fear of contagion across the financial system if one of them stumbles — is still very much alive in Italy despite Mario Draghi’s best efforts to transfer ownership of Italian debt from banks to the ECB. 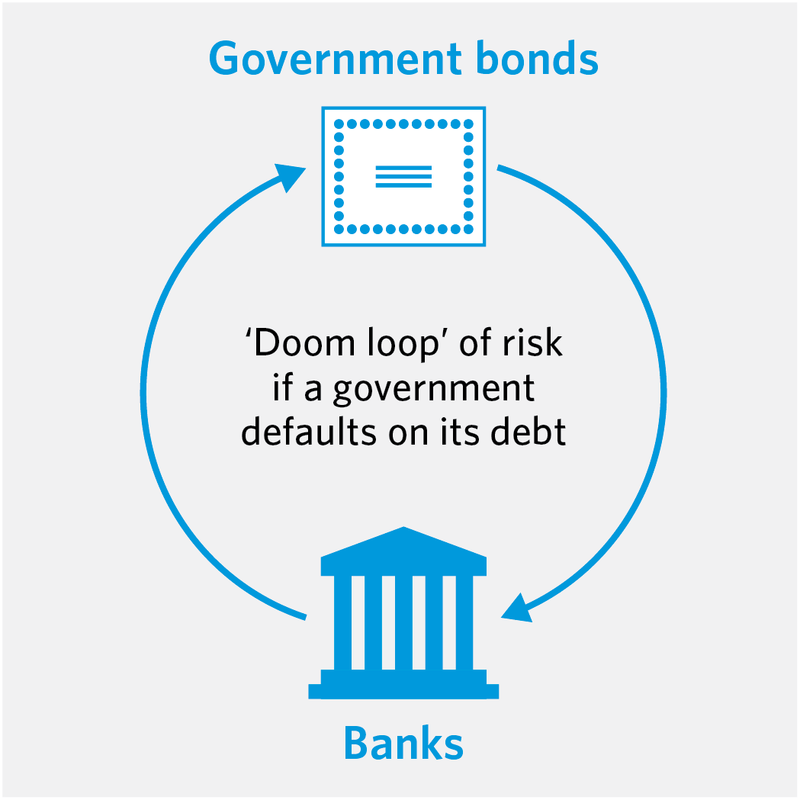 The doom loop is a particular problem in the Eurozone since a member state doesn’t control its own currency, and cannot print itself out of trouble, which leaves it exposed to credit risk. But Italian banks are still big owners of Italian debt. According to a study by the Bank for International Settlements, government debt represents nearly 20% of banks’ assets — one of the highest levels in the world. The ECB is now the only net buyer of Italian bonds left standing. In fact, in October last year the central bank was buying seven times more Eurozone sovereign bonds than the euro-area governments added to the market.